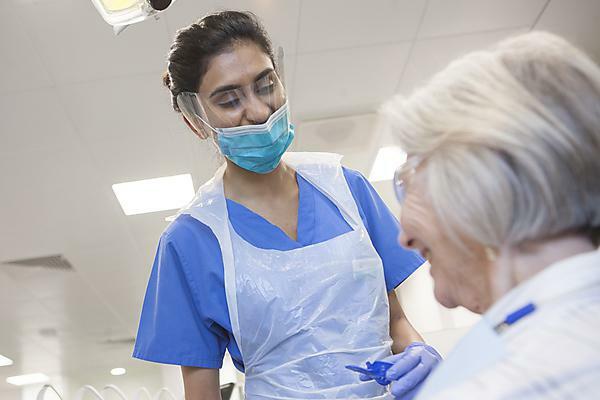 Professor Liz Kay, Foundation Dean of the Peninsula Dental School at Plymouth University, is a member of the guideline development group which has created a new NICE guideline for improved oral health in care homes. According to Government figures more than half of older adults in care homes have tooth decay when compared to 40 per cent of over 75s and 33 per cent of over 85s who do not live in care homes. Of the 400,000 adults resident in UK care homes, 80 per cent have some form of dementia and 30,000 are younger adults with learning disabilities. Older adults in care homes are more likely to have fewer natural teeth. Those with teeth are less likely to have enough teeth to eat comfortably and without embarrassment. The new guideline – “Oral health for adults in care homes” – includes recommendations for those who have responsibility for the health of care home residents. It calls for training for care staff and access to dental services when needed. As well as providing guidance for daily care routines the guideline also acknowledges the need for better access to dental care. The guideline recommends that local health and wellbeing boards ensure dental services are provided to care home residents. It also calls for care home managers to contact their local board if they are concerned about the availability of services.